Every year about this time I go over to Maine to the Carpenter's Boat Shop to teach a lofting workshop to the apprentices. We loft at least two boats, starting with a simple flat-bottomed skiff to introduce the concept to apprentices, moving on to a more complex boat. 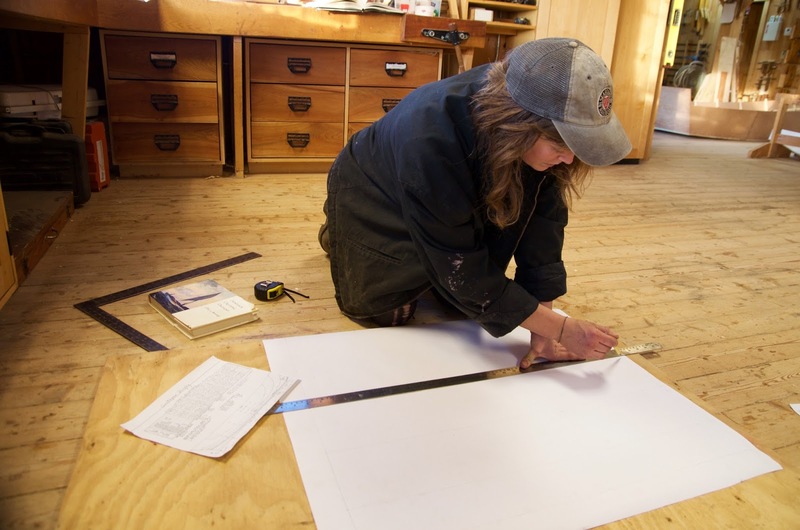 In years past we've lofted boats the Boat Shop was commissioned to build for customers. This year it was decided we'd loft the Catspaw dinghy, and apprentices will be building two before the end of the year. In other news while in Maine I saw my friend Kenneth Kortmeier, and learned he's started the Maine Coast Craft School in Bristol, just down the road from the Boat Shop. 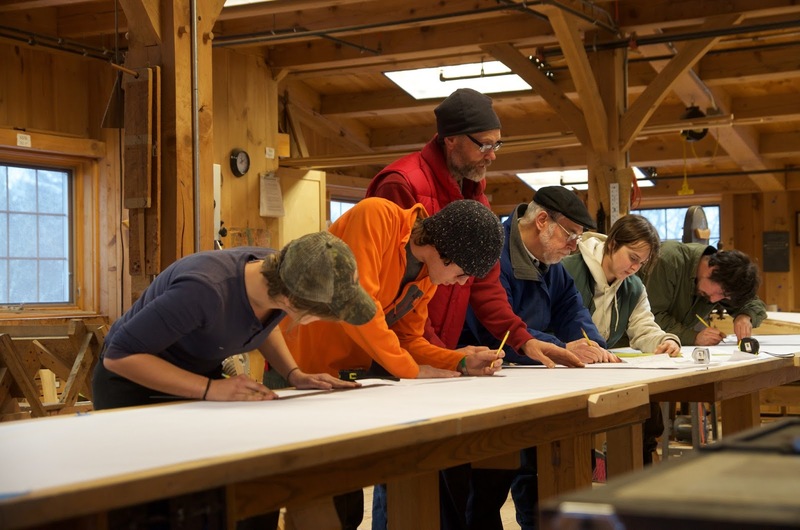 Kenneth is the former furniture instructor at the Boat Shop, and he spent last summer teaching at the famous Country Workshops in North Carolina run by Drew Langsner. I look forward to seeing his new school develop so check out his website. 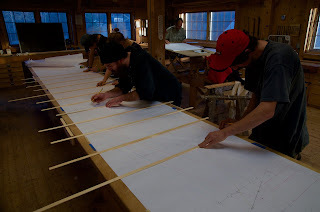 For lofting I set up a series of hollow core doors as a long table, and rolled out paper to loft our boats on. Working at a table is far more comfortable than working on the floor for days on end. Half models help students visualize the different perspectives of the lofting: waterlines, buttocks, and sections. Nathaniel Herreshoff, who designed the original boat the Catspaw is based on, designed boats by carving half models. Then his crew would scale off dimensions and loft the lines full-size for the mold makers. Most of the class sighting their first batten. This is where important fairing and aesthetic decisions are made. Each student was responsible for laying down the offsets for a station. 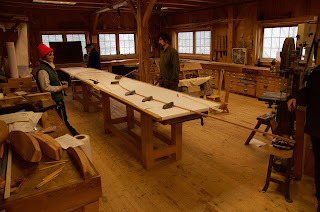 The Boat Shop has decided to build the Catspaw with the Herreshoff method of building molds for every third frame. This meant 12 section drawings so students used tick sticks to pick up the offsets for each station. Then students worked on an individual piece of paper drawing each section shape. Once sections were drawn it was back to the long lines to reconcile any offsets that were problematic. 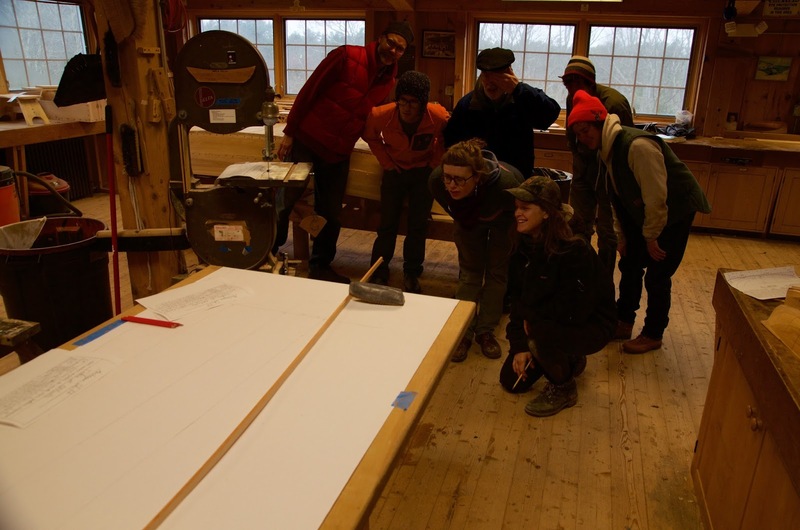 The workshop lasted three days and students also lofted the stem rabbet and transom. 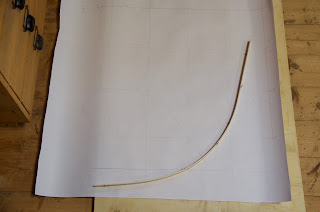 I firmly believe the best way to learn lofting is first to be taken through the process. Only then does written material on lofting make any sense. I hope my students develop an appreciation for the technique as well as its importance in traditional boatbuilding. I have tried to read about lofting, and it seems that learning it directly from someone who knows about it is a better way. I am hoping to one day build the Irredicuble by Wes Farmer, so I guess I have to learn lofting before starting. Every lofting workshop I have taught has had students who tried reading how to do it but were left lost by the process. 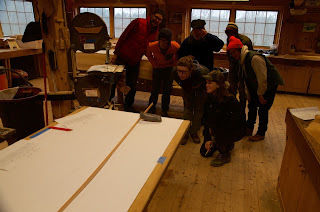 I told the apprentices that being led through the process they should then read about it (I recommend the Gougeon Brothers book on boatbuilding's lofting chapter) to reinforce what they have learned, or better yet, just start lofting boats. I also loft boats for amateur boatbuilders, drawing lines full-size on long paper which I can mail. I think that I will learn a lot by doing the lofting process myself, how hard it might be. 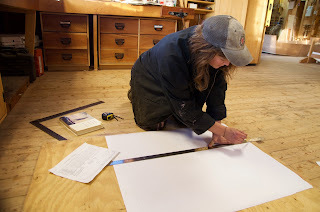 But I have a friend who is a trained boat builder not that far from me, so it might be a good idea to pay him a visit and try to get him to teach me a few basics. 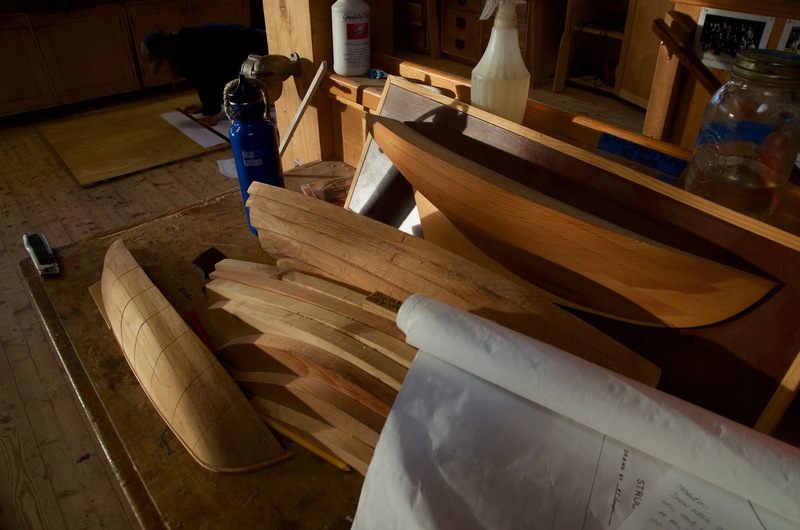 There was also another Danish boat builder that taught lofting classes some years ago. So I guess I could try to see if he still does that. Thanks for the tip on the Gougeon Brothers book. That might be an idea for the upcoming Christmas. I have the planks ready for the boat, so that part of the project is taken care of. I made a bunch of quartersawn larch about two years ago in the anticipation that one day I would try to build a boat. But there are still numerous other projects that need to be completed first, but it never hurts to read up on the subject a bit ahead of time.